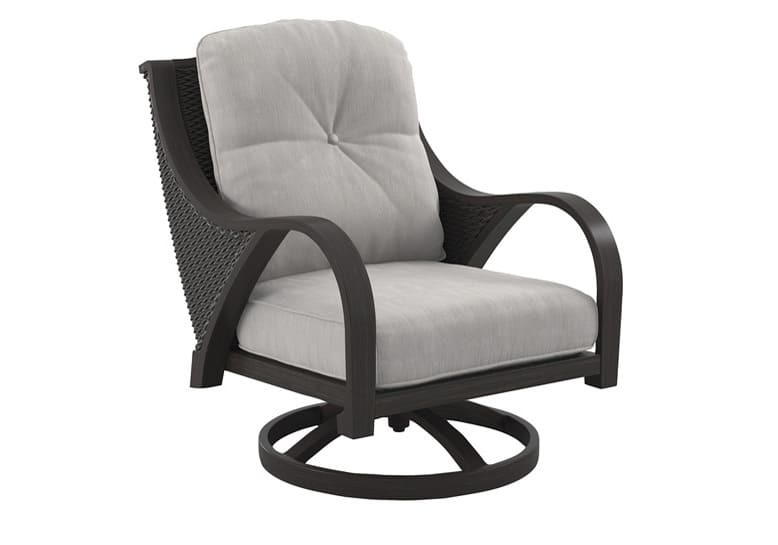 The Marsh Creek outdoor lounge chair is a contemporary addition to your sunroom or backyard retreat. Camelback design with fashion-forward arms makes it beautiful from all sides. Resin wicker infuses impeccable tactility with the rust-proof aluminum frame. Durable cushions provide comfort and neutral style. Feel peace of mind with Nuvella™ easy-to-clean and fade-resistant fabric.